Click the photo above to see the full resolution! 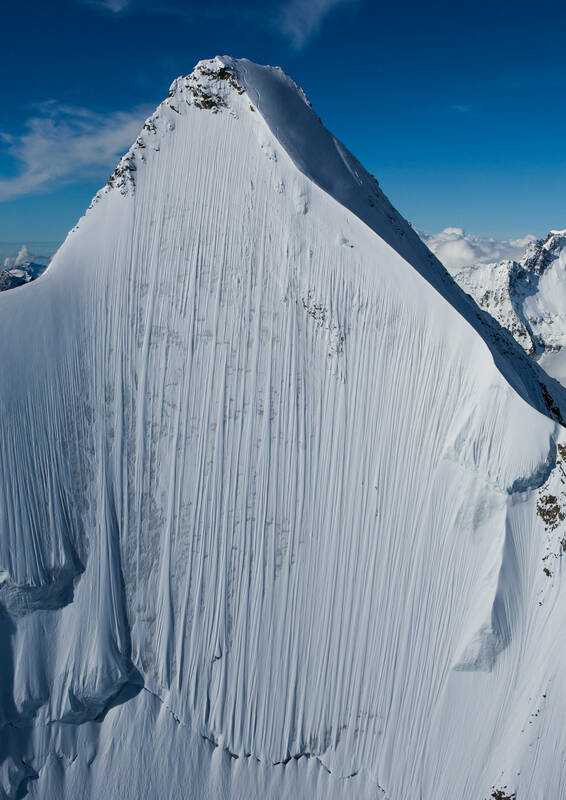 In this jaw-dropping photo we see professional skier Jérémie Heitz descending an impossibly steep face in the Pennine Alps of Switzerland on May 16, 2016. The photo was taken by Tero Repo for Red Bull and was recently shared on Red Bull’s official Instagram account. The Pennine Alps, also known as the Valais Alps, are a mountain range in the western part of the Alps. They are located in Switzerland (Valais) and Italy (Piedmont and the Aosta Valley).